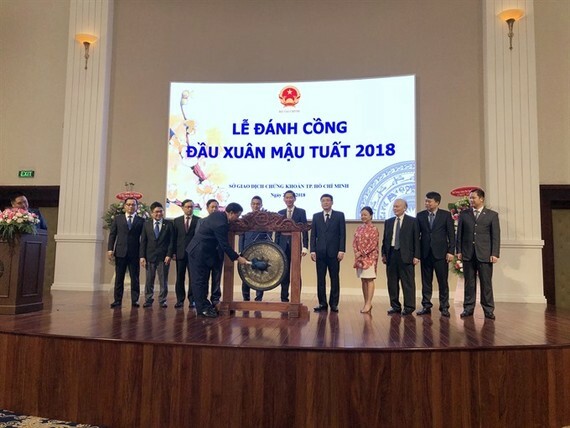 The Government and the State Securities Commission plan to carry out some key measures to develop the stock market in a rapid and effective but safe manner, Minister of Finance Dinh Tien Dung has said. Speaking at the Lunar New Year ceremony held by the ministry at the HCM Stock Exchange yesterday, he said the stock market has played its role as a channel for mobilising medium- and long-term capital for the economy. It has also contributed greatly to the equitisation of State-owned enterprises and attraction of foreign investment. The 2018-20 period is important since a series of Party and State policies would be put into practice, he said. This year the Government would continue to implement policies to stabilise the economy, control inflation, promote sustainable development, develop the private sector, and speed up equitisation of and divestment of stakes in State-owned enterprises, he said. He directed the State Securities Commission to co-ordinate with relevant ministries and agencies to complete certain key tasks, including completing the legal framework for securities to align it with other laws such as the Law on Enterprises and Law on Investment to create a transparent environment for businesses and investors. 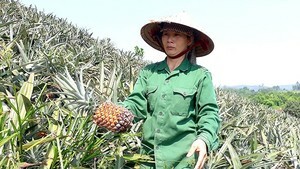 Also on its radar are improving the quality of the market by adopting global principles and practices and risk management, launching new products, enhancing the use of digital technology, improving market management and oversight, he said. Le Hai Tra, a member of the HOSE board of managers, said following its solid growth last year, the new lunar year has started well for the stock market, with liquidity increasing sharply to over VND8 trillion (US$352.1 million) per session. According to analysts at local and foreign brokerages and funds, Vietnam’s economy stability offers a good platform for its stock market to grow strongly. HOSE has plans for many action programmes this year, including co-ordinating with official agencies and market participants to revise the Securities Law, launch new products, focus on research, support the restructure of State-owned enterprises, and attract domestic and foreign investment. It would also speed up modernisation of infrastructure and IT systems to improve oversight and flexibility to meet the requirements of international integration, Tra said. The market saw a breakthrough in 2017 with the successful introduction of derivatives market. With many big businesses listing, the market capitalisation is already equivalent to over 70 percent of GDP, a target earlier set for 2020. The VN Index topped 1,100 points, up 62 percent from 2016 and the liquidity of the stock market rose by more than 63 percent on average last year compared to 2016. The average revenue and profit of listed companies grew by 19 percent and 28 percent. The bond market also developed strongly last year.